Holy Thursday (April 18): The Mass of the Lord’s Supper at 7:00pm celebrates the institution of the Mass and the Priesthood. As Mass ends, we go with Jesus in procession down Park Avenue to our own Garden of Gethsemane – the Altar of Repose – at Old St. Mary’s. “Could you not watch with me one hour?” (St. Matthew 26:40). Old St. Mary’s will remain open until Midnight for prayer. Good Friday (April 19): A day of both fast & abstinence from meat. See the full schedule in this bulletin and on our website. 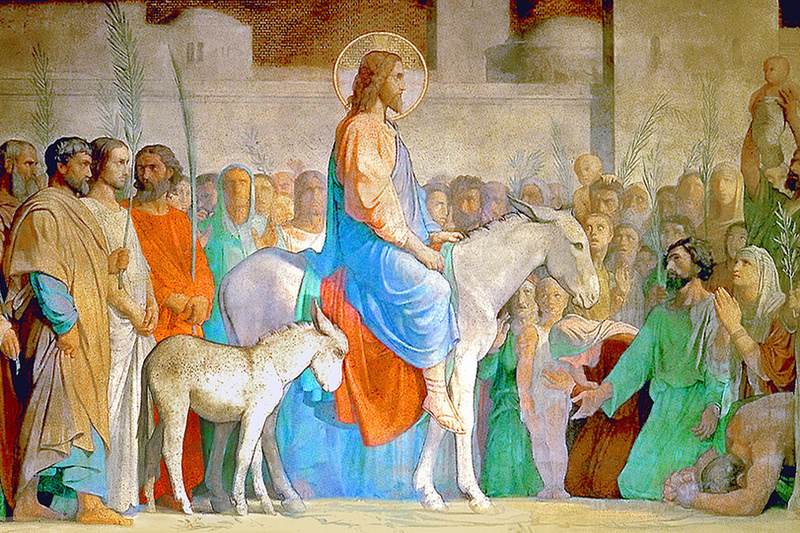 The solemn Liturgy of the Lord’s Passion at 3:00pm is the high point of the day. Holy Saturday evening (April 20): We begin the Great Easter Vigil outside. (Please note that is no 5:00PM Mass on Holy Saturday.) This liturgy is ancient and entirely unique. Full disclosure: It does last over two and a half hours (we are in vigil, after all), and it is one of the most beautiful and inspiring liturgies of Holy Mother Church. On this night, those who have been preparing to enter the Church through Baptism or a Profession of Faith will be brought into full, visible communion. Easter Sunday (April 21): The Church rejoices as Jesus rises from the dead in glorious splendor in His glorified body. Let us pray more fervently for each other in this holiest of weeks, especially for our persecuted Christian brothers and sisters who suffer even in our day as Christ suffered for us.